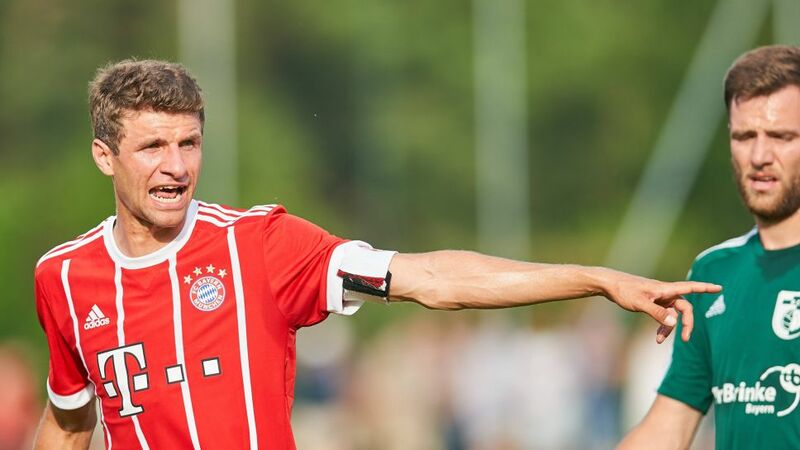 Bayern Munich eased to a comfortable victory in their first friendly match of the summer, beating regional league side BCF Wolfratshausen 4-1. With the majority of the club's stars either still on holiday or not yet in full training, head coach Carlo Ancelotti fielded a starting XI made up largely of reserve players, although Thomas Müller, Mats Hummels, Kingsley Coman and recently-retired goalkeeper Tom Starke - filling in due to injuries - all played from the off, with Müller scoring his side's second goal in the 30th minute. Bayern only started pre-season training three days ago and several first-team regulars, including Thiago, Robert Lewandowski and Arjen Robben, are set to return on Monday 10 July before the club head off to tour the Far East.